Choose a unique cover photo for each gallery! Yes! 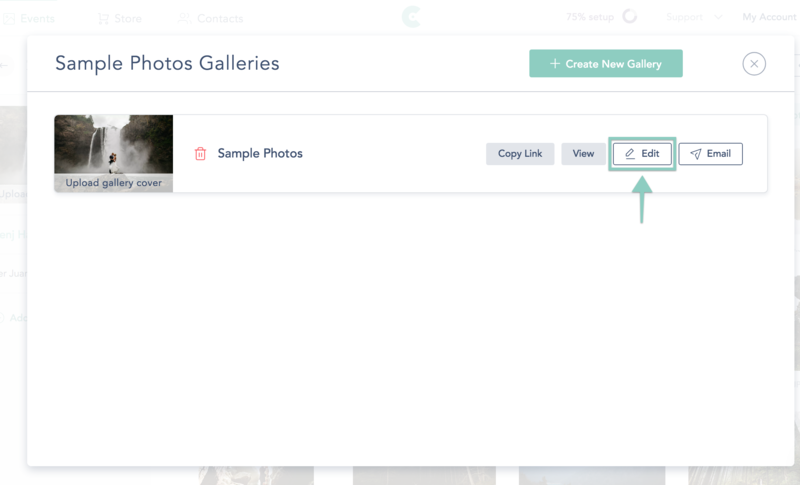 You can set a different photo cover to match each individual gallery you have! Click on the Collection you’re working on, and then click on Galleries at the top. Next, click "Edit" next to the gallery you’d like to edit. Click on the “Cover” tab to change your cover photo. To change the cover photo, click on “Change Cover Photo”, choose the photo you would like it changed to by dragging from your computer or browsing photos from your files, and click on “Update”. 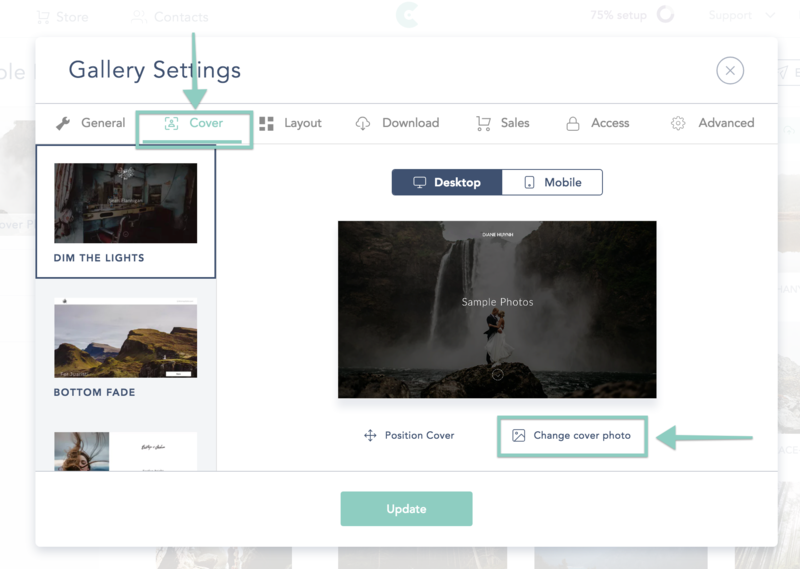 Your cover photo will now be changed and will applied to all future web gallery visits and emails you send out for that gallery. How Do I Create/Edit My Online Gallery?